Lawmakers are scrambling to figure out a way to keep that money, and they are hoping Colorado voters — usually stingy when it comes to taxes and spending — will let them. In rare bipartisan agreement on taxes, legislators are piecing together a bill that would seek voters’ permission to hold on to the marijuana money. But anti-tax feelings run deep here, and some anti-tax groups said they would fight any effort to deprive the public of a refund, even if it amounts to only $11 or less a person. Selling, taxing and regulating a federally outlawed drug were never going to be easy for states at the forefront of marijuana legalization. And as Colorado, the first state to legalize recreational use, enters its second year of retail marijuana sales, it is confronting a range of unpredictable problems. Among them, two neighboring states and several sheriffs have sued to strike down Colorado’s law, saying that marijuana is flowing out and that the state’s law enforcement officers are looking the other way regarding violations of federal law. But few people in Colorado are pushing to repeal the state law or shut down marijuana dispensaries. Instead, lawmakers are mostly making incremental tweaks, like ensuring that food stamps cannot be used to buy marijuana, debating changes to the appearance of edible marijuana and pondering what warnings – if any — to offer pregnant purchasers. Photo by Benjamin Rasmussen for The New York Times. “It’s the nuts-and-bolts of how do we make the trains run on time now that we’re here,” said Representative Jonathan Singer, a Democrat who has worked extensively on marijuana issues. Distributing marijuana revenue presents a particularly thorny problem. After Colorado and Washington State became the first in the nation to legalize recreational marijuana for adults, Colorado voters approved a measure levying hefty taxes on the plant and on wholesale bulk marijuana, as well as a 10 percent sales tax. 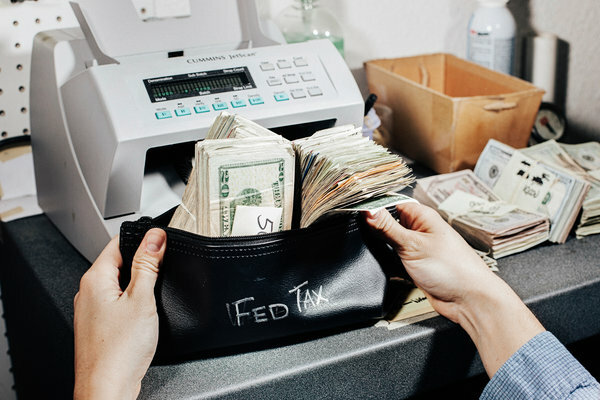 In all, retail customers are paying 30 percent or more in taxes at the register. Voters dedicated $40 million of marijuana revenue to school construction and repairs. Other marijuana revenue goes toward paying for the inspectors, enforcement agents and other costs of running the offices that regulate the substance. While millions are pouring into the state from locals and tourists buying marijuana oils and tinctures, candy and cookies and raw plants, the tax revenue is falling short of the $70 million that the state thought it might collect. Nevertheless, the state is now in the awkward position of having to give back that marijuana money because it collected more than it had anticipated in taxes last year across the board — including construction, oil and gas and other sections of the state’s booming economy. “It has its own malevolent programming that is really hard to override,” he said. The complex measure, first approved by voters in 1992, essentially requires that when Colorado collects more money than it had anticipated, it has to give some back to taxpayers. 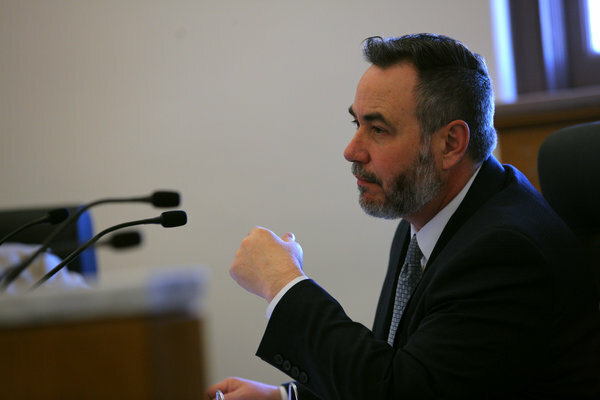 Refunding nearly $60 million in marijuana money would shortchange school construction and other needs that had been depending on marijuana taxes, and force the state to pay for them from its general fund. The marijuana refund could amount to a few dollars per taxpayer, handed out as a break on their state returns. But Mr. Steadman said the law was unclear who, exactly, should be paid back. The marijuana customers? The growers and wholesale businesses paying taxes? The public, who approved this whole setup? He is working on a bill, expected to gather bipartisan support, that would kick the question of marijuana refunds back to the public, asking voters whether the state could keep the money. 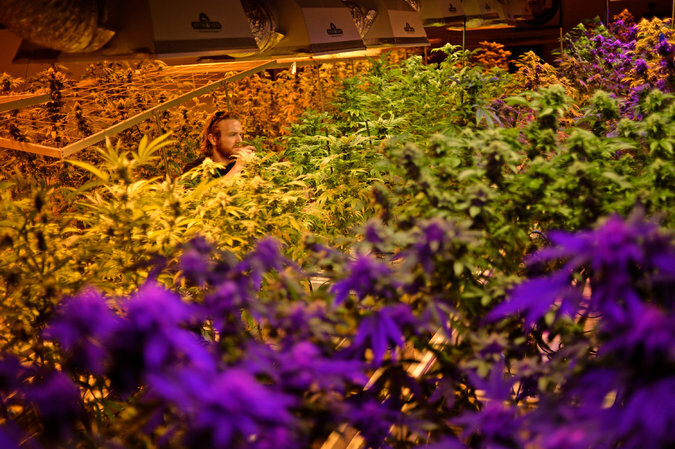 Most marijuana businesses have supported the sales taxes Colorado placed on the substance. But Miguel Lopez, who organizes Denver’s annual 4/20 rally — intended to be a giant feel-good festival — said he was sick of what he called high taxes on recreational marijuana. He said they were hurting small stores and helping to keep the black market alive.